Aneesa – tlc. | tender love and cupcakes. 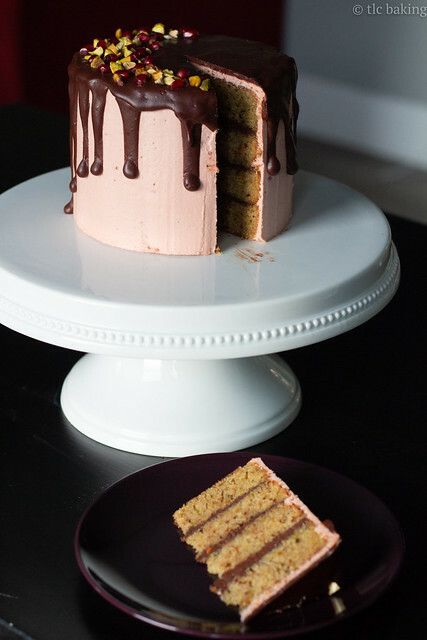 This cake, courtesy of Molly Yeh, was at first meant to be my birthday cake. 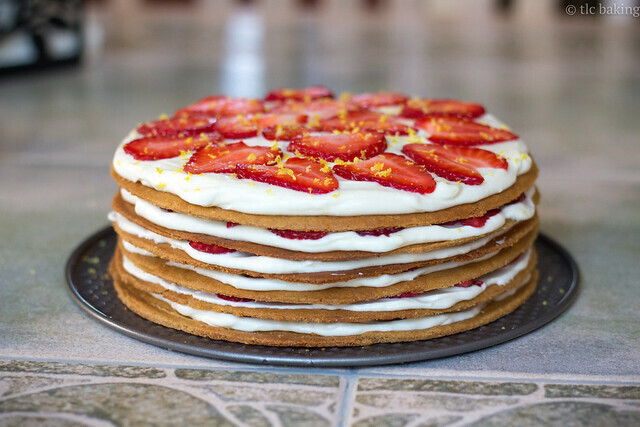 As I planned, however, it turned into more of a Navroz cake–a mid-March celebration of a new year, of new life, of rebirth and growth and hope for the future ahead. 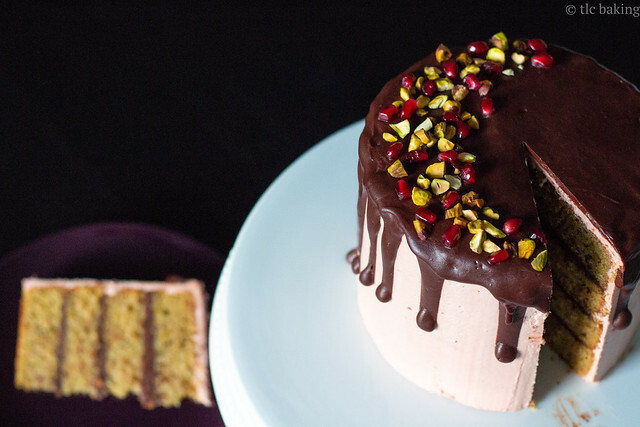 (And, really, a celebration of the traditional, unrivaled Middle Eastern flavors of pistachio and pomegranate, which I regularly dream about in dessert form.) I shared the first slices with friends across warmly lit kitchen counters, and pulled the last slices out of the freezer after finals and graduation, as my roommate was getting ready to leave Atlanta for good. I’m dreaming of it again now, as I (slowly, surely) settle into my new apartment and new job in Cambridge, spending as much time with long-missed friends as possible to bring life and love to this place I now call home. Navroz has always been one of my favorite holidays. Ismailis, like many Muslims and non-Muslims alike with roots in the Middle East, adopted the 3,000-year-old celebration of the Persian New Year as our own. We take small parcels of grain, cloves, and sugar saved from the previous New Year and add them to the biggest pots our stovetops can hold to make a neighborhood’s worth of haleem, akhni, or kheer. We tuck our new packets of these harvest representations into purses, backpacks, and bedside table drawers for prosperity for the coming year. We break bread (does it count if it’s rice?) with family. Dried fruit and nuts abound. This is, anyway, how we do it in my house. Navroz has long felt like more of a New Year’s celebration to me than the typical January 1st, because at least in this hemisphere, how can you deny the obvious rebirth of the land when spring comes along? How can the hopefulness and anticipation tangible in the crisp breeze of mid-March compare with the barren, unflinching promise of two months of brutal cold that January brings? No, the new year certainly does not begin when the ball drops and Don Lemon gets a little too drunk for cable news; it begins when the world throws its doors open to you again, brimming with potential. It can, in that way, feel like a new year every time your life transitions in a big way. When you leave school; sign your first long-term lease; start your first real full-time job. Yes, this was my first drip cake. Yes, I know the drips are not as pretty as they are on Instagram. Don’t be like me, and let your cake cool fully before trying any dripping business. Though we are at this point closer to our modern January new year than to the Persian one, I know I’m not the only one opening a new chapter of my life at this time of year. To those starting at new schools, new jobs, with new partners in new homes: let this coming year be one that is bountiful with joy, one that balances stress and hardships with equal amounts of success and fulfillment, and, perhaps most importantly, one that is full of good cake and better company. Grease and line the bottom of two 6"x3" round cake pans. You'll need the height for this much batter. Pulse the pistachios in a blender or food processor until there are no large pieces left. Pieces the size of coarse almond meal are okay. Set aside 1/4 cup of the pistachios for the filling later, if desired. Whisk the remaining pistachio bits together with the sugar, flour, baking powder, baking soda, and salt. In a separate bowl, whisk together the wet ingredients until fully combined--eggs, oil, water, buttermilk, almond extract, and vanilla extract. Whisk the dry ingredients into the wet ingredients in two parts and pour into prepared pans. The batter will be runny and very fragrant. Bake until a toothpick inserted into the center comes out clean, 20-30 minutes depending on your pans. Let cool before turning pans over onto a greased wire rack. Heat pomegranate juice in a small saucepan until reduced by 1/2. Remove from heat. It will thicken to a syrup as it cools. 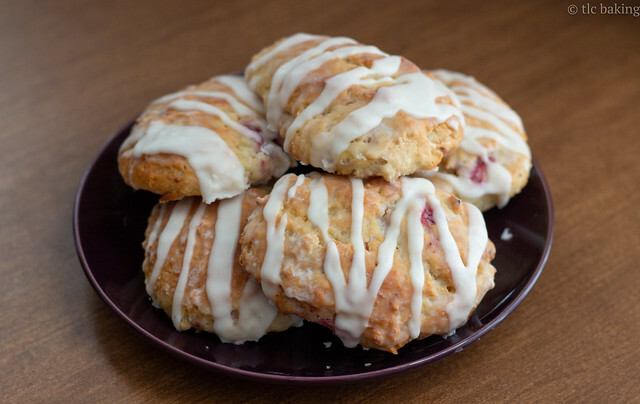 Beat butter in a stand mixer until soft and slightly whipped. Beat in powdered sugar, 1/2 cup at a time, until the frosting starts to stiffen. Pour in reduced pomegranate juice and beat until fully incorporated. Add salt and heavy cream and beat again. 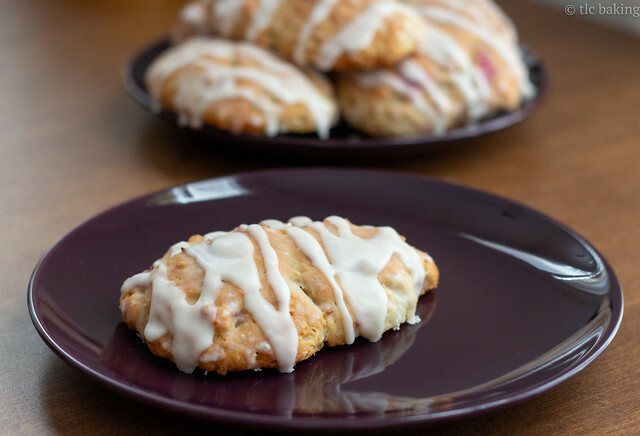 Continue adding remaining powdered sugar until desired consistency is reached. 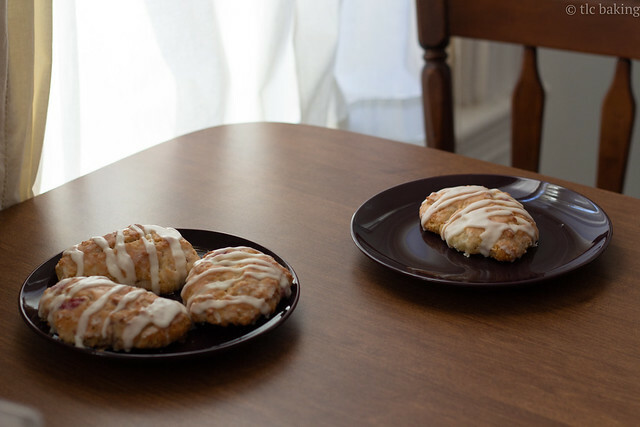 You may need slightly less/slightly more than 3 cups. Beat in powdered pomegranate 1 tsp at a time, to taste. 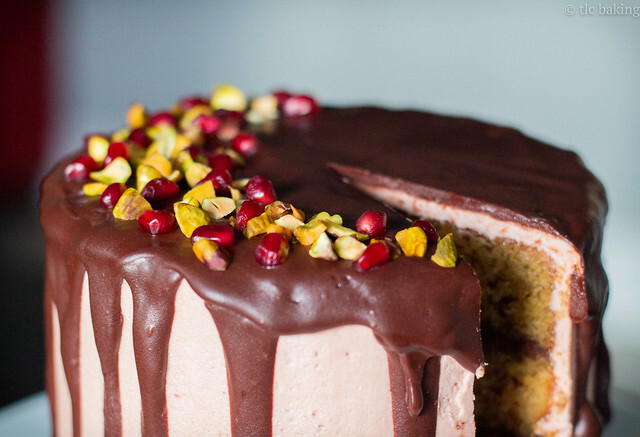 The powder will add a distinct tang to the frosting and help the presence of the pomegranate flavor. Place the chopped chocolate in a heat-safe bowl. In a small saucepan, heat the heavy cream until just simmering. Pour the hot cream over the chopped chocolate and stir until thoroughly combined. For a glossy finish to your ganache, stir in the butter until melted and combined. Separate 1/3 of the ganache and stir in the extra pistachios you set aside. Keep remaining ganache for topping and drips. Keep ganache warm and pourable either in a double boiler or over a pot of simmering water. 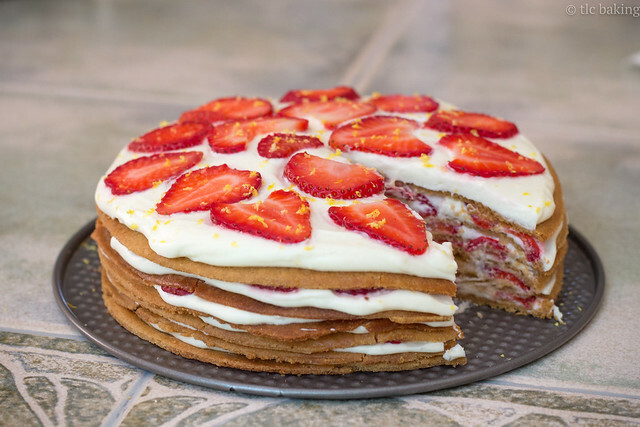 Slice your cakes in half to form 4 layers. 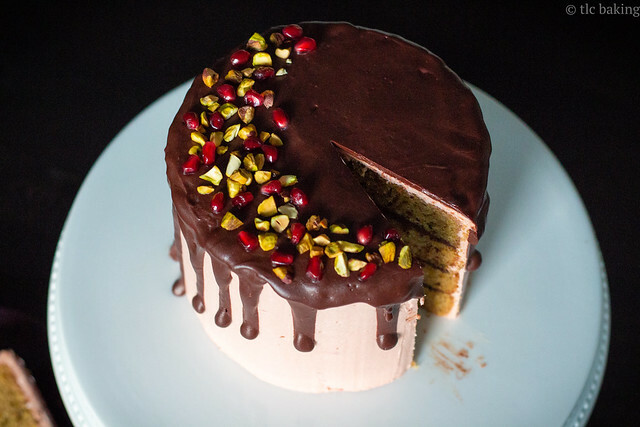 Putting the first layer cut-side-up on a cake stand (or other convenient and movable surface), spread spoonfuls of pistachio-and-ganache mixture over the cake, then top with the second layer cut-side-down. Repeat with the remaining layers: ganache, cut-side-up, ganache, cut-side-down. This will give you a nice flat top to frost. 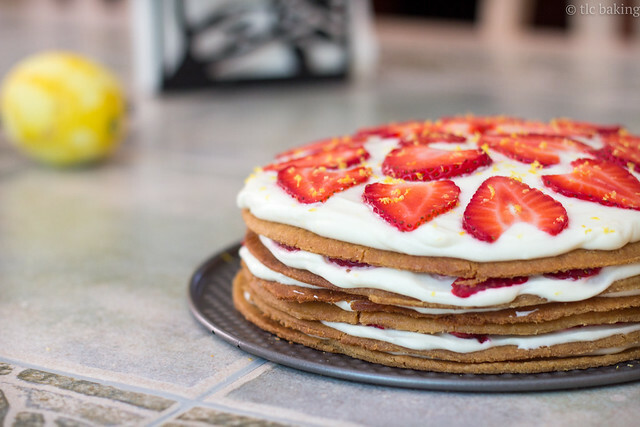 Frost the cake as desired with the buttercream. I did a quick crumb coat, popped the cake in the fridge for 15-20 minutes, and finished frosting with a generous coat of the remaining buttercream. (I did end up with about a 1/2 cup extra.) Use a bench scraper or similar to get a smooth finish. Chill the cake thoroughly. This could take a while. 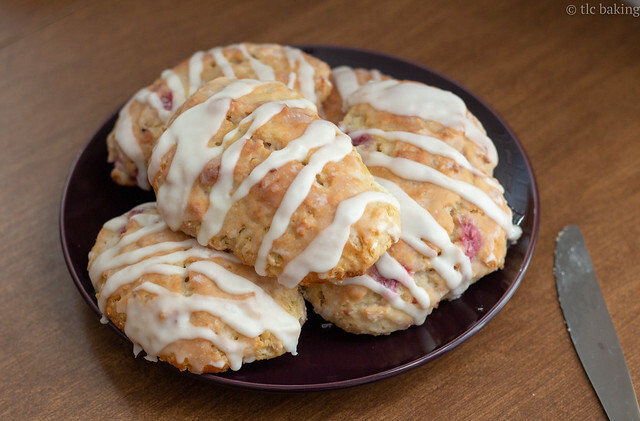 Wait until the buttercream sets; it will offer some resistance when gently pressed. Carefully pour ganache over top of cake to form drips. If you're adventurous or just very good at this, feel free to pour straight over the top of the cake and let the drips fall where they may. 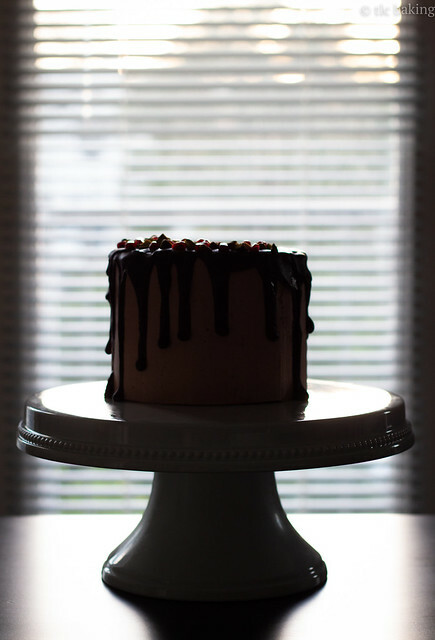 If you want more control, make the drips first by pouring the ganache along the edge of the top of the cake, then filling in the rest of the top with the remaining ganache. Decorate to your heart's content. 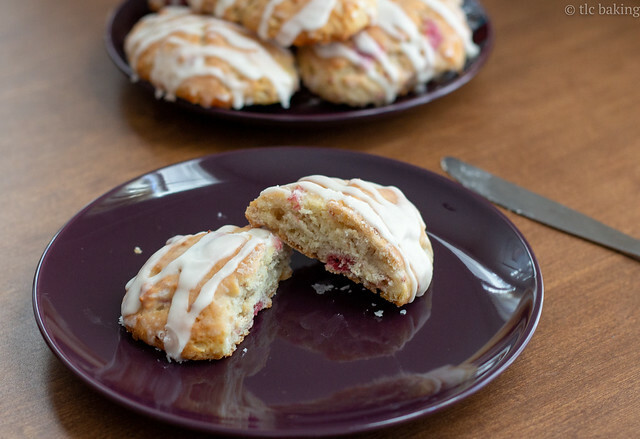 Toss on some fresh pomegranate seeds if you have them. Roughly chop some pistachios. Add in that gold leaf. It'll all look great. This cake keeps wonderfully in the freezer. Remove 3-4 hours in advance to let thaw fully before serving. Did you know Florida has its own strawberry season? The harvest runs December through March, and for any lucky states within fruit-shipping distance, this means the sudden appearance of countless boxes of vivid, juicy strawberries in our grocery stores–and the blessed drop in prices–before spring even rolls around. I was thoroughly confused the first time I experienced this last winter. 3 lbs of strawberries for $5? But…it’s February? And why do they all have these blue and black labels instead of the Driscoll’s ones? Well, Southeast friends, the season is still in full swing. 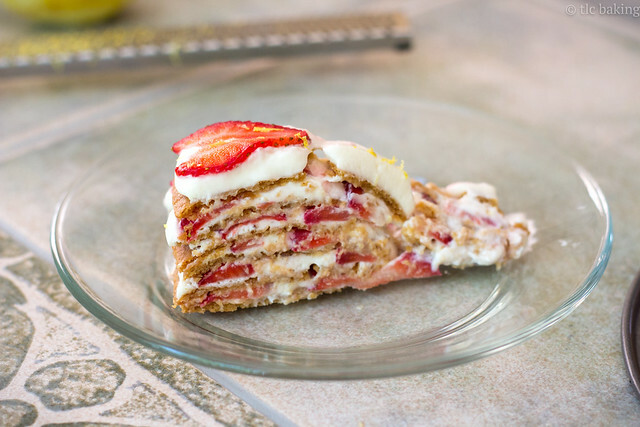 In honor of this glorious reprieve from maddeningly expensive and disappointing strawberries, I give you Smitten Kitchen’s strawberry graham icebox cake–originally made for a Memorial Day barbecue, but a fitting recipe for a time like this. 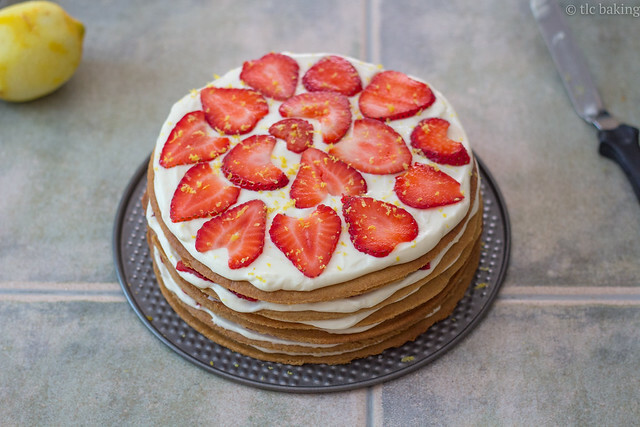 This “cake” is a celebration of strawberries in their best form: fresh, ripe, and smothered in lightly-sweetened homemade whipped cream, sandwiched between crisp graham cracker-cookie rounds that support the sweet and bursting fruit with a light crunch and hint of cinnamon. A simple topping of lemon zest adds a pop of color and brightness in every slice. There’s a sweet spot to find with this cake. Once you’ve assembled the layers, the sturdy graham cookies will start to absorb some of the moisture from the whipped cream. Give it about an hour to rest, and you’ll see the cake collapse a bit, softening just enough to make it easy to slice and serve. But assemble the cake too early, and your “support” will turn into something more like “the soggy biscuit pieces that fell into your tea mug”. Not unpleasant, but unwieldy for cutting. Like I said–sweet spot. 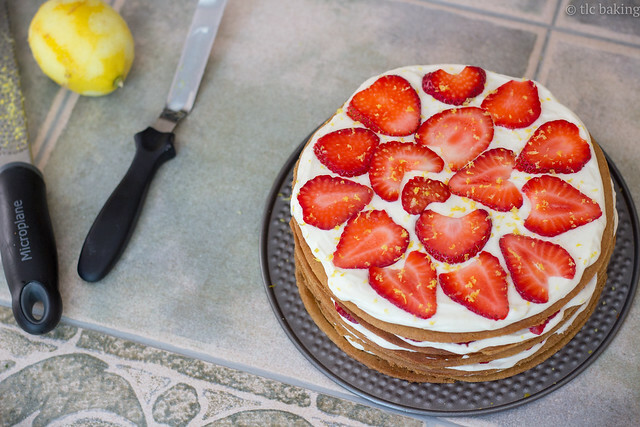 Pair this cake with good friends, a grill, a shared meal, and a pitcher of iced tea, or serve it up after a family meal and revel in this taste of spring before the seasons catch up to the date.